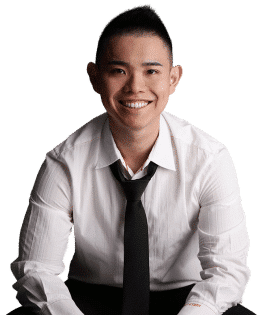 He uses a trading strategy called CANSLIM, which combines fundamental analysis, technical analysis, risk management and timing. You can learn this exact trading strategy in his best selling book, How To Make Money In Stocks: A Winning System in Good Times and Bad. 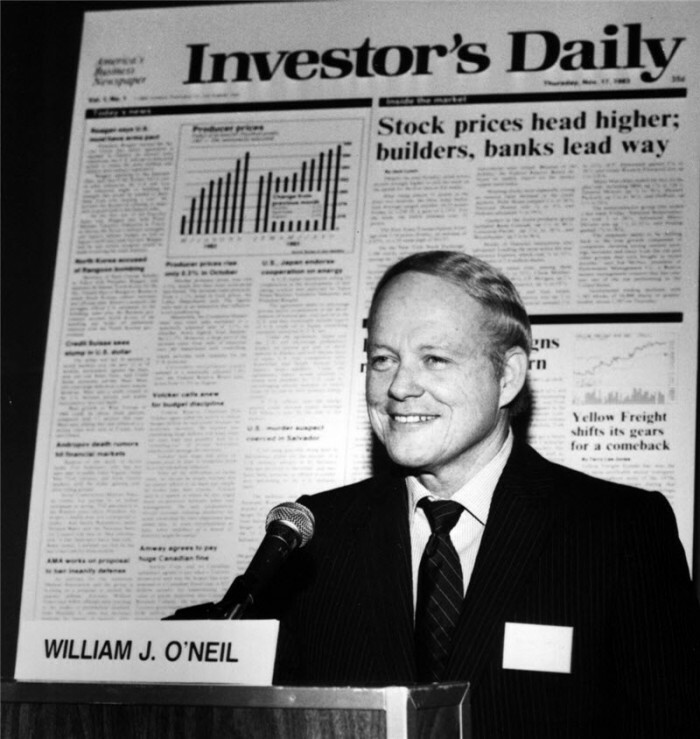 Open a brokerage firm, the William O’Neil & Co. Founded a national financial daily newspaper called Investor’s Business Daily. Became the youngest person to buy a seat on the New York Stock Exchange. What is CANSLIM trading strategy? C: Current quarterly earnings per share (up at least 25% vs. year-ago quarter). A: Annual earnings increases at a compound rate of no less than 25%. N: New products, new management and new highs. S: Supply and demand. Stocks with small floats experience greater price rises, plus big volume demand. L: Leaders and laggards. Keep stocks that outperform and get rid of the laggards. I: Institutional ownership. Follow the leaders. M: Market direction. Three out of four stocks follow the trend of the market. When the intermediate trend is bearish, don’t invest. 1. Don’t buy cheap stocks. Buy Nasdaq stocks mainly selling between $15 and $300 a share and NYSE stocks from $20 to $300 a share. Avoid the junk pile. 2. Buy growth stocks that show each of the last three years annual earnings per share up at least 25% and the next year’s consensus earnings estimate up 25% or more. Most growth stocks should also have annual cash flow of 20% or more above EPS. 3. Make sure the last two or three-quarters earnings per share are up a huge amount. Look for a minimum of 25% to 30%. In bull markets, look for EPS up 40% to 500% (The higher, the better). 4. See that each of the last three-quarter’s sales is accelerating in their percentage increases, or the last quarter’s sales are up at least 25%. 5. Buy stocks with a return on equity of 17% or more. The best companies will show a return on equity of 25% to 50%. 6. Make sure the recent quarterly after-tax profit margins are improving and near the stock’s peak after-tax margins. 7. Most stocks should be in the top five or six broad industry sectors. 8. Don’t buy a stock because of its dividend or P/E ratio. Buy it because it’s the number one company in its particular field in terms of earnings and sales growth, ROE, profit margins, and product superiority. 9. Buy stocks with a relative strength of 85 or higher. 10. Any size capitalization will do, but the majority of your stocks should trade an average daily volume of several hundred thousand shares or more. 11. Learn to read charts and recognise proper bases and exact buy points. Use daily and weekly charts to materially improve your stock selection and timing. Buy stocks are they initially breakout out of sound and proper bases with volume for the day 50% or more above normal trading volume. 12. Carefully average up, not down, and cut every single loss when it is 7% or 8% below your purchase price with absolutely no exception. 13. Write out your sell rules that show when you will sell and nail down a profit in your stock. 14. Make sure your stock has at least one or two better-performing mutual funds who have bought it in the last reporting period. You want your stocks to have increasing institutional sponsorship over the last several quarters. 15. The company should have an excellent new product or service that is selling well. It should also have a big market for its product and the opportunity for repeat sales. 16. The general market should be in an uptrend and either favour small or big cap companies. 17. The stock should have ownership by top management. 18. Look for a “new America” entrepreneurial company rather than laggard, “old America” companies. 19. Forget your pride and ego; the market doesn’t know or care what you think. No matter how smart you think you are, the market is always smarter. A high IQ and a master’s degree are not guarantees of market success. Your ego could cost you a lot of money. Don’t argue with the market, and never try to prove you’re right and the market is wrong. 20. Watch for companies that have recently announced they are buying back 5% to 10% or more of their common stock. Find out if there is new management in the company and where it came from. 21. Don’t try to buy a stock at the bottom or on the way down in price, and don’t average down (If you buy at $40, don’t buy more if it goes to $35 or $30). 22. If the new appear to be bad but the market yawns, you can feel more positive. The tape is telling you that the underlying market may be stronger than many belief. On the other hand, if highly positive news hits the market and stocks give ground slightly, the tape analyst might conclude the underpinnings of the market are weaker than previously believed. 23. 37% of a stock’s price movement is directly tied to the performance of the industry group the stock is in. Another 12% is due to strength in its overall sector. Therefore, half of a stock’s move is due to the strength of its respective group. 1. Stubbornly holding onto losses. 2, Buying on the way down in price. 3. wanting to make a quick and easy buck. 4. Buying on tips, rumours, split announcements, and other news events, stories, or opinions you hear from supposed market experts on TV. 5. Selecting second-rate stocks because of dividends or low P/E ratios. 6. Buying because of old names you’re familiar with. 7. Being afraid to buy stocks that are going into the new high ground in price. 8. Cashing in small, easy-to-take profits while holding the losers. 9. Not being able to make up your mind when a decision needs to be made. 10. Concentrating your time on what to buy and once the buy decision is made, not understanding when or under what conditions the stock must be sold. You’ve just learnt 23 powerful trading rules from William J. O’Neil, one of the greatest stock traders of our time. Thank you for sharing your best trading rules collection, it was very interesting. Yes the rules are a compilation from the best ones I’ve come across. is GDDY making a cup and handle? I wouldn’t consider it a cup and handle.